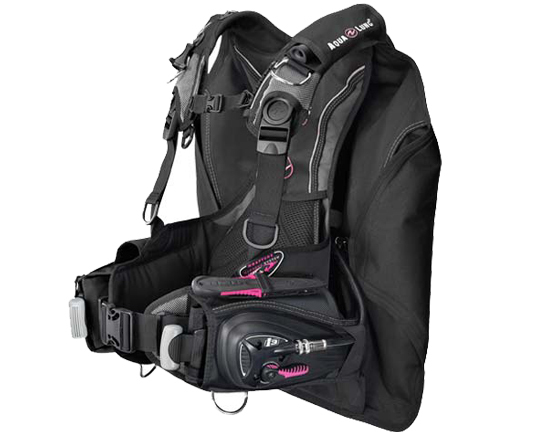 The Lotus i3 is a feature-rich, back inflation style BC with Aqua Lung’s patented i3 inflation/deflation system that has been designed just for women. 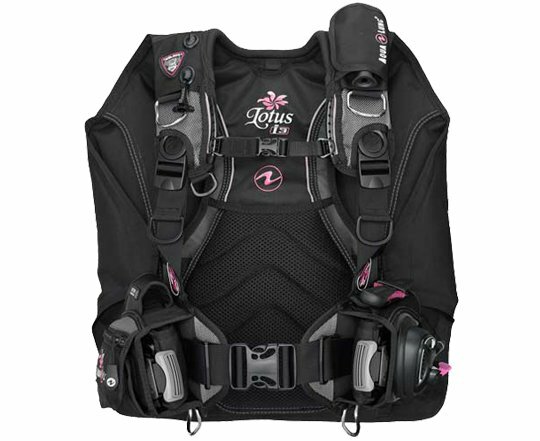 The Lotus i3 with the featured Wrapture™ Harness System not only hugs the contours of the female body providing superior comfort and stability, it also supports the scuba cylinder in a way that has never been more comfortable to the diver. Integrated weights are held securely in place with the SureLock II mechanical weight system. The Lotus i3 is black/charcoal with pink highlights and comes in three sizes.